SEOlympics: Top Marketing Blogs of the U.K.
Last month here at SEJ, we presented the first edition of the “SEOlympics” by sharing our favorite 10 marketing blogs of Australia. 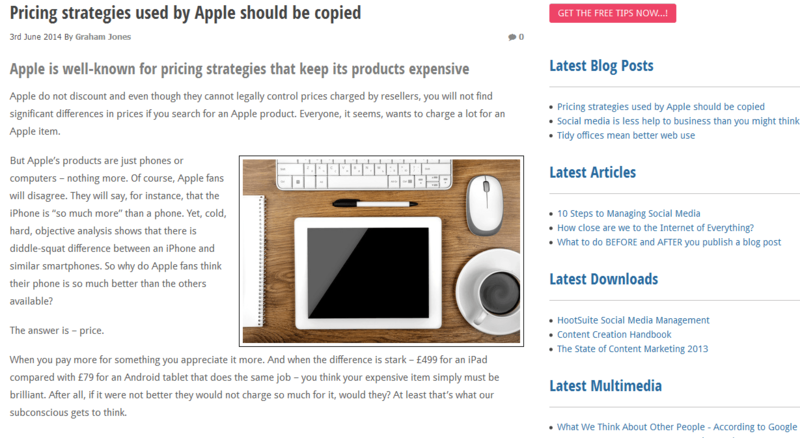 This month we’re highlighting a new set of remarkable marketer blogs from the United Kingdom. Selecting only 10 blogs from our cousin across the pond was no easy task. There were many excellent blogs that deserve recognition. Why? Because the UK is not afraid to dive into the world of content marketing. According to research from the Content Marketing Institute, 76% of UK marketers are producing more content than they did in 2013. That’s impressive considering that number is 72% in North America; although Australia remains on top with an impressive 81%. 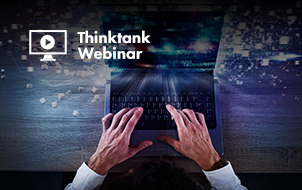 The research also found that marketers in the UK allocate more funds (31%) to content marketing than both North America (29%) and Australia (27%). It was also worth noting that marketers in the UK use more content marketing tactics on average than their peers in North America and Australia. And, finally, there was one more staggering statistic: 88% of respondents in the UK reported that they use content marketing. 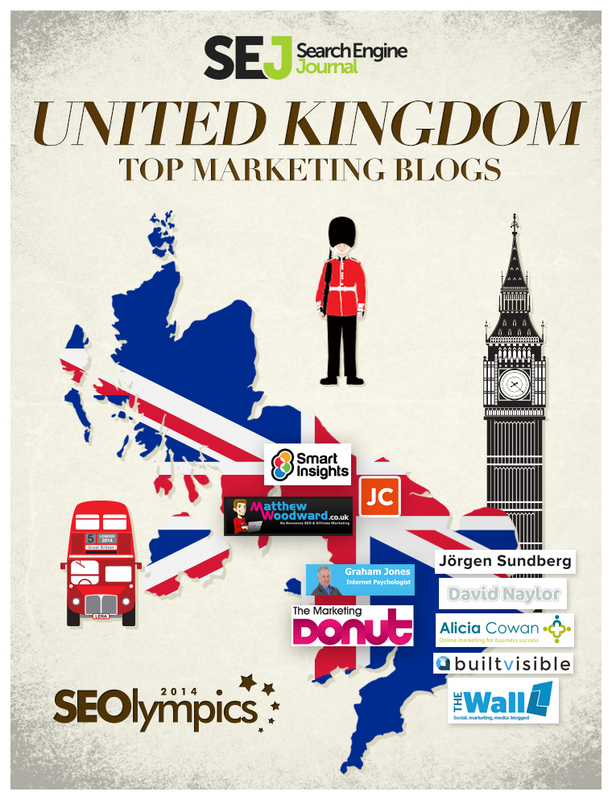 In short, content marketing is doing quite well in the United Kingdom. 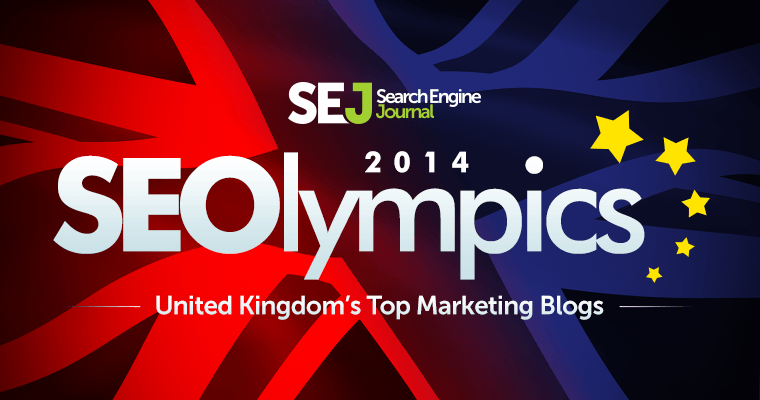 We knew we had to share what we discovered, so we’ve put together our own “SEOlympics”, a gold medal-worthy list of blogs from the United Kingdom based on subjective criteria like voice, content strategy, and quality. Keep in mind, we’re only human and may have left off some blogs that you think are fantastic. Please feel free to add your suggestions in the comments below. Back in 2003 David Naylor had a hunch that this whole online marketing industry was going to takeoff. He purchased Internet Service Provider (ISP) Bronco Ltd. and has since worked with some impressive clients including Virgin Holiday Cruises, Digg, Fashion Bean, and the UK site for Tiger. Mr. Naylor not only established a respected digital marketing company with Bronco, he also became a respected authority figure himself. 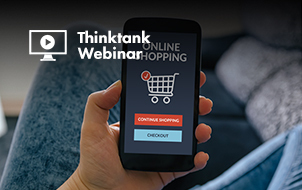 He has spoken at some top-notch events – he was recently a speaker at SMX London – and also has been called upon by search engines. Mr. Naylor, along with his outstanding team, use his blog to keep visitors updated on the latest happenings with search engines and social media along with SEO and website configuration tips. Also, from time to time, he steps in front of the camera to share his additional thoughts and advice, which is great for all of us visual learners. There may be another blog in the UK that could top Jim Connolly’s impressive resume – but we weren’t able to find one. Jim Connolly has been in the marketing field since 1986 and launched his own successful marketing business in 1995. Since then, Mr. Connolly has been featured in the BBC, Wall Street Journal, New York Times, and CNN – just to name a few. He’s also worked with the legendary Niles Rodgers – how cool is that? – and was once the 39th most followed person in the world on Twitter before quitting the 140-word character service. 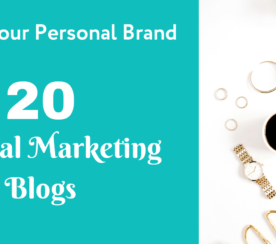 If you’re an entrepreneur setting up your own business, or even if you’re already established, Jim’s Marketing Blog is a priceless resource to help you grow your business. Mr. Connolly provides tips and also offers sessions where you can “pick his brain”. We don’t think we’ve ever come across an “internet psychologist” before. But if there was one person who has earned that reputation, it would be Graham Jones. Mr. Jones earned a degree in Human Biology before shifting to the world of journalism. He worked at Polydor Records in public relations and was responsible for acts that included The Who and Siouxsie and the Banshees. However, he went back to the medical field and earned a B.A. in Psychology and two masters’ degrees in M.Ed. and M.Sc. When the internet took off in the 90s’, Mr. Jones specialized in how people used the web. It just makes sense that Mr. Jones would combine his knowledge and experience in journalism, PR, and psychology to create a blog that every marketer should read. He posts consistent content including blogs, articles, educational infographics, and the latest news surrounding the industry. Jorgen Sundberg is another individual with a truly impressive resume. He has founded the social media agency Link Humans and the blog Undercover Recruiter, which is now the top career blog in Europe. He also co-founded the UK’s largest social media community with Social Media London. Some of his clients include Intel, Adecco Group and Ferro. 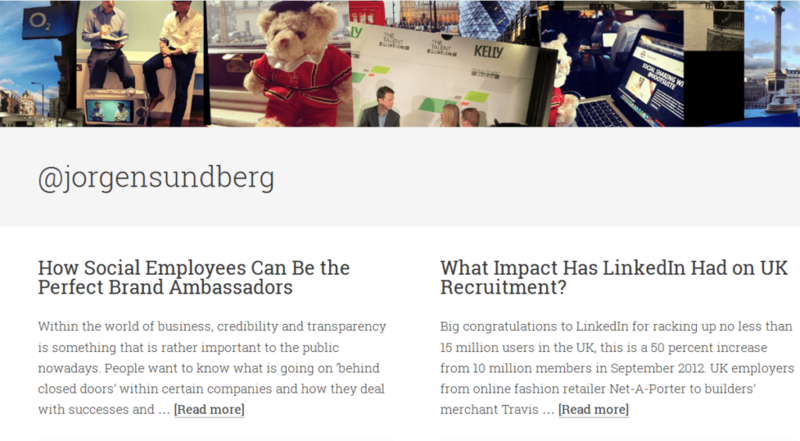 Mr. Sundberg has also been a speaker at the London Business School and has been featured in The Times and The Guardian. Because of his expertise involving professionals, Mr. Sundberg’s blog focuses on recruitment and job searching. However, he is also proficient with social media and offers valuable insight on how effective social media can be used for content marketing. Also, we really enjoy his website. It’s clean, fluid, and original. It also gives you a better understanding of who Mr. Sundberg is and what he excels at. Prior to launching Virtual Assistant in 2009, Alicia Cowan states that she was “an Executive PA working for award winning business owners in media and PR.” She also went on to create Twitter Brilliance, which is a comprehensive online training course for Twitter. 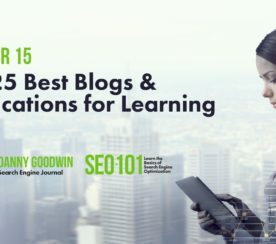 Her work has led Mrs. Cowan to be featured on ProBlogger, Social Media Examiner, and Buffer. She was also included in Top Rank’s list of the UK’s top 50 online marketing influencers and bloggers in 2013. Through her blog, Alicia Cowan shares tips on how to effectively reach your audience through social media. However, she also posts information regarding free marketing tools, how to develop content ideas and helpful blogging tips when you can’t think of ideas. Formerly known as SEO Gadget, Builtvisible was founded by Richard Baxter based on his love of SEO. Since the launch of the company in September 2009, Builtvisible has skyrocketed from just one employee to a $4 million international digital marketing agency. Over the years, the team from Builtvisible has worked for Intuit, Red Bull, The Telegraph, Living Social, and IcelandAir. Despite having a proven track record working with some of the most recognizable brands in the world, the Builtvisible blog contains information that brands of all sizes should use. 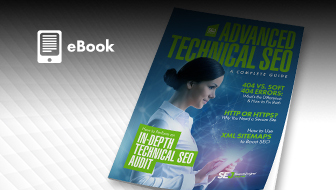 While helping you develop a SEO strategy is a major part of the blog, it’s not the only topic of discussion. There are educational statistics, advice on how to properly use social media, and how to secure those important conversations. If that’s not enough to convince you, then just take Rand Fishkin’s advice and “don’t pass up an opportunity to work with Richard and his team”. The Smart Insights Blog is the brainchild of three extremely talented gentlemen: Dr. Dave Chaffey, Danyl Bosomworth, and Stu Miller. Each co-founder brings a unique set of skills and expertise to the Smart Insights team, which allows visitors to learn a wide range of strategies for digital marketing. These strategies include: plan, reach, act, convert, and engage. What’s most impressive about this blog is the plethora of information available. In fact, it’s difficult to find another blog with so much vital information regarding everything from affiliate marketing to website design. We also like the blog uploads two to three posts daily. In other words, there is no shortage of helpful and up-to-date information. The Wall happens to be the blog for Brand Republic – which is intended for anyone involved with advertising, marketing, media, and communications. Brand Republic launched in 2001 and has become a trusted source information. Despite not being around as long, The Wall Blog has also become an incredible resource for marketers. 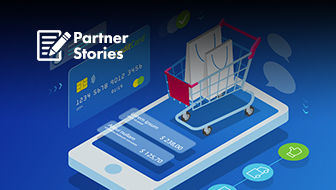 The blog itself features examples of recent marketing campaigns and how to market your brand to a specific niche – we spotted articles offering advice to gambling brands and how to land a sports sponsorship, for example. Through highlighting the latest marketing campaigns, The Wall is providing an excellent resource for keeping up with emerging trends. There’s also some additional insight for content marketers, like this neat article regarding David Ogilvy and what he taught us about writing. What we absolutely dig about Matthew Woodward is his swagger. 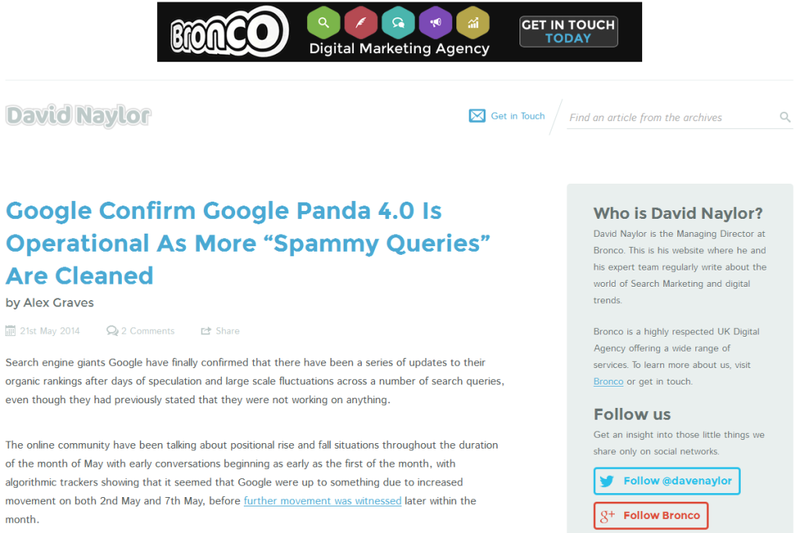 It’s right there on the front page when he tells the world that he’s not Matt Cutts, but he is better at SEO. Of course, it’s one thing to make this claim. It’s quite another to try and prove it. So, Mr. Woodward embarked on a challenge to make a name for himself. He wanted to see if his site could rank on a search engine without the use of links. So far, it appears to be working. 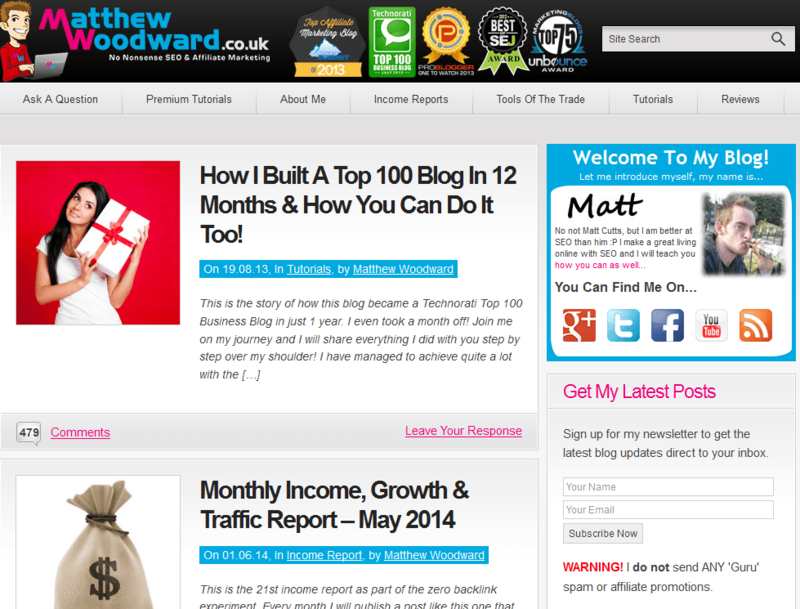 Since launching his blog in August 2012, Mr. Woodward has seen a steady increase in visitors and revenue. He even managed to win some awards including: Affiliate Summit Best Affiliate Blog 2013, Technorati Top 100 Business Blog July 2013, ProBlogger One To Watch 2013, and Unbounce Top 75 Internet Marketing Blogs. But to be honest, the most prestigious honor he earned had to be when he was included in The Best Of Search Engine Journal 2012. What’s most refreshing about Matthew Woodward’s blog is that he is completely honest and open on how he increased traffic. He even shares monthly progress reports. 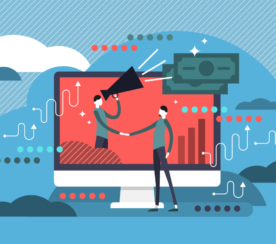 When not providing updates on the status of his blog, Mr. Woodward also posts advice on SEO and some of the most intriguing online marketing campaigns from the last month. The Marketing Donut is just one of many sites – also called ‘donuts’ – that were created and produced by Atom Content Marketing. This content marketing agency was founded in 1991 and now has over 20 years of experience in assisting small businesses. 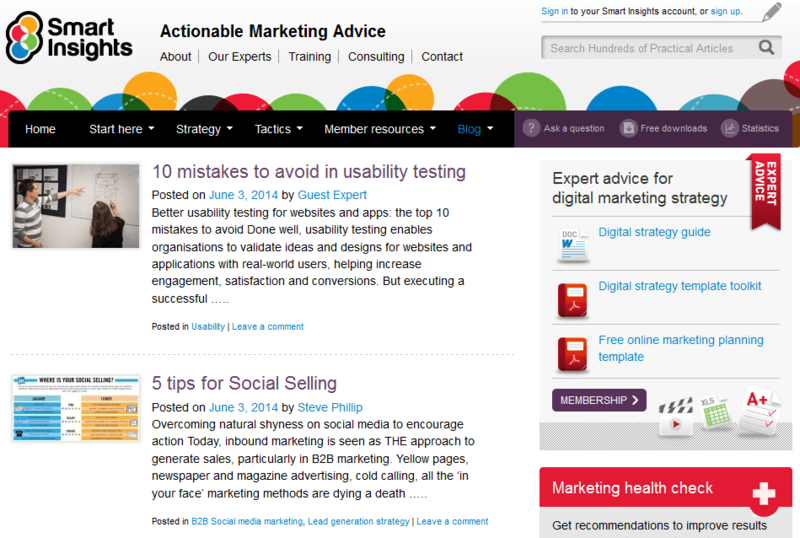 Unlike other blogs, the Marketing Donut offers free advice. No strings attached. Through blog posts, the experts employed by the Marketing Donut cover a wide range of topics from marketing strategies, online marketing, sales, PR and research. For a great example on how clever the posts are, read The true value of a drink in the pub. On top of the original and quality content provided on the blog, the Marketing Donut also has a number of outstanding tools for your use. These include everything from templates to how-to-guides. So, there you have it. 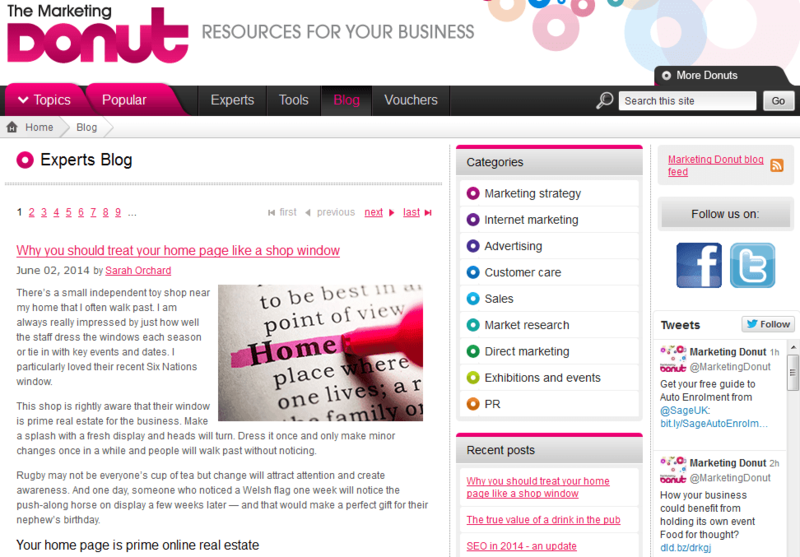 Our pick for the hottest UK marketing blogs. What do you think? Is there an awesome one we missed? Be sure to share it in the comments below.